The sheet music for the track Roadsinger can be purchased below. 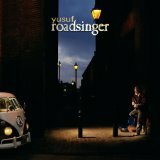 The author of Roadsinger is Cat Stevens (also known as Yusuf Islam), Elvis Presley (also known as Elvis Aaron, The King of Rock and Roll). Do you really love a particular arrangement that we have of this song and would you like to extol its virtues? In that case please move your mouse to the section entitled Comments, and after choosing a user name you may leave your musings on this page for all to see. Do you use Facebook or Twitter? Then you can easily tell your online friends about this great masterpiece by clicking on the "share" button on this page. Roadsinger has been arranged for 5 instruments and we currently have 2 arrangements on offer in total.